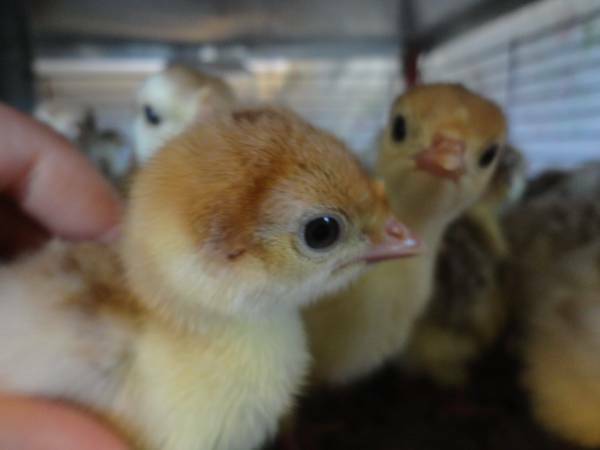 Poults (Babies): $ 15.00 ea. Toms & Jakes: $ 75.00 ea. Hens & Jennies: $ 50.00 ea. Hatching Eggs: $ 6.00 ea./$ 72.00 per dozen. 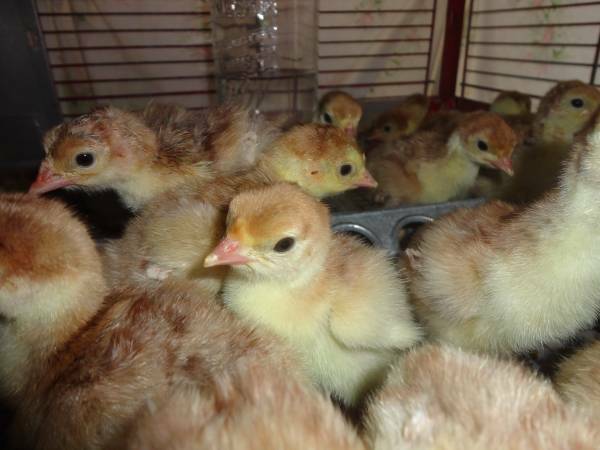 Shipping Available for Poults, Hatching Eggs, Jakes, Hens, and Jennies. 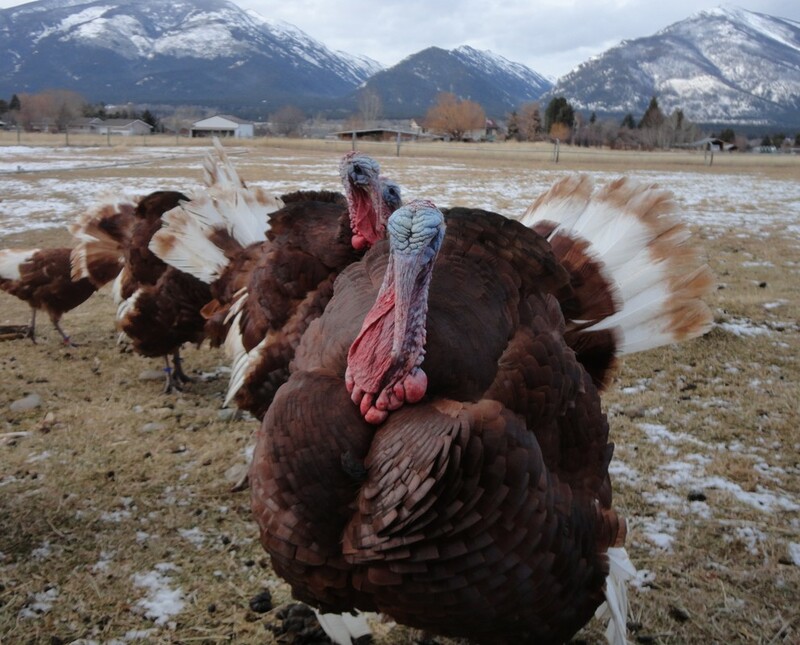 Our Bourbon Red Turkeys are bred to the American Poultry Association Standard of Perfection. 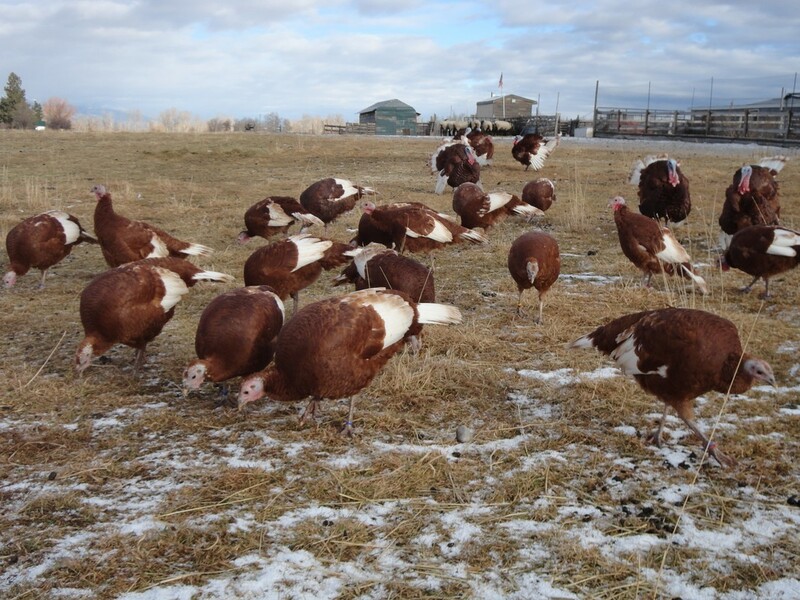 We were one of the first farms to have birds reaching A.P.A. 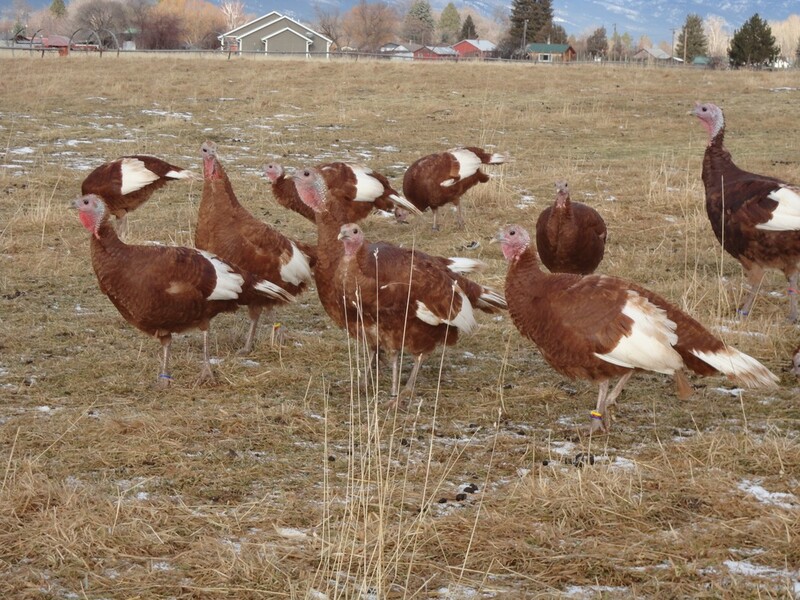 Standard weights after the recovery of the Bourbon Red from the heritage turkeys' population and quality decline (due to breeder/producer neglect in favor of the commercial Broad-Breasted Turkey varieties). We have years of weight and measurement records, egg laying records, fertility records, and hatch records, showing production performance on our turkeys. 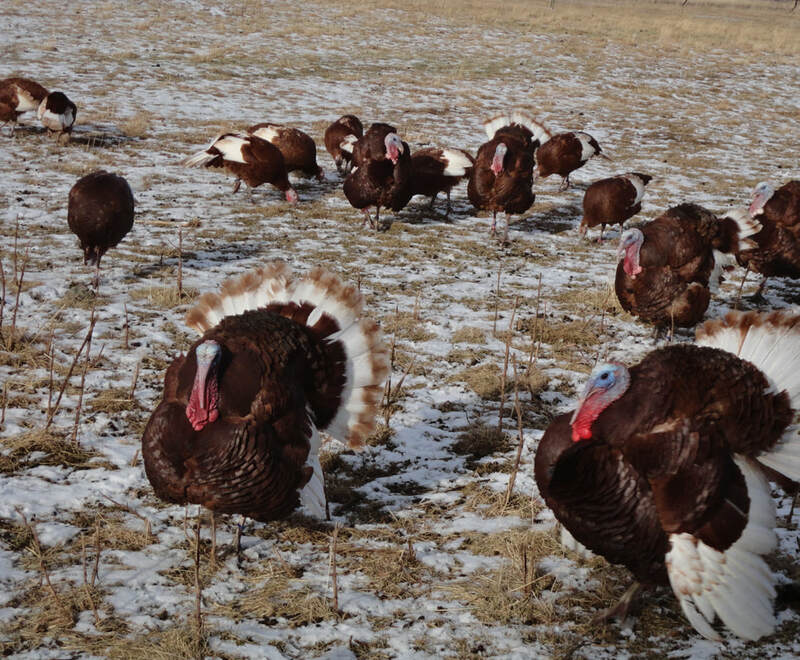 On our farm we raise between 100 and 500 young turkeys each year to select our breeding stock from, retaining only 20 to 40 of the best birds to add to our breeding flock. Turkey toms: 16 to 18.5 lbs. 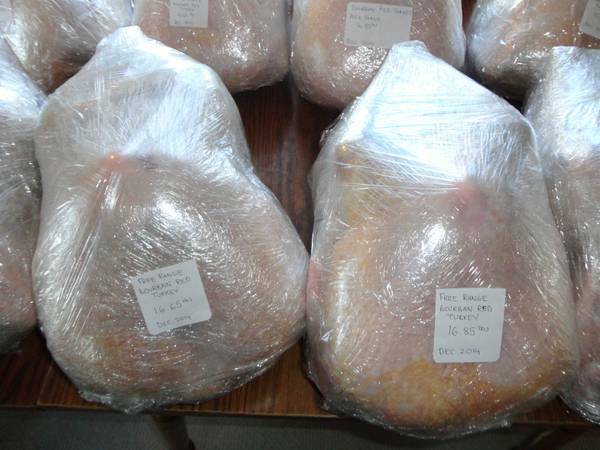 Turkey hens: 9 to 11 lbs. Bourbon Reds have been accepted into the Slow Food USA Ark of Taste. 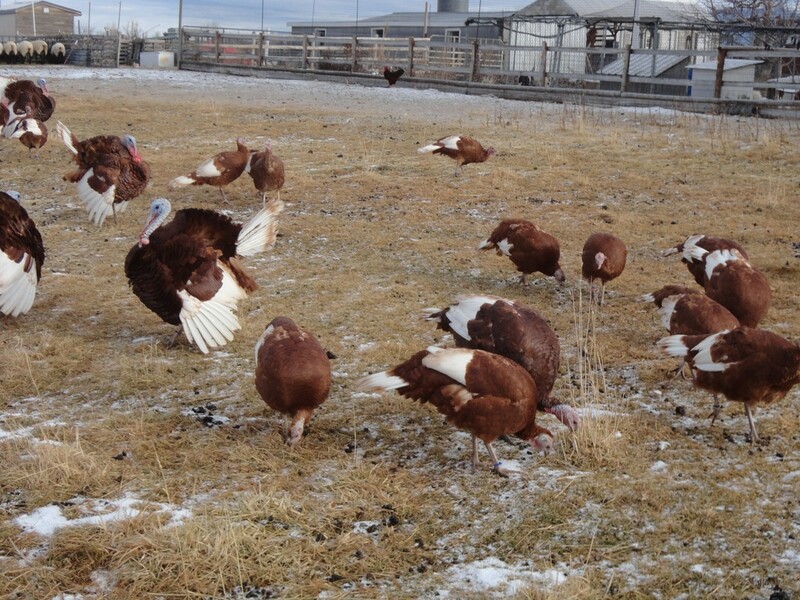 Bourbon Reds can breed naturally, unlike commercial turkeys. Our line has high fertility and hatchability. 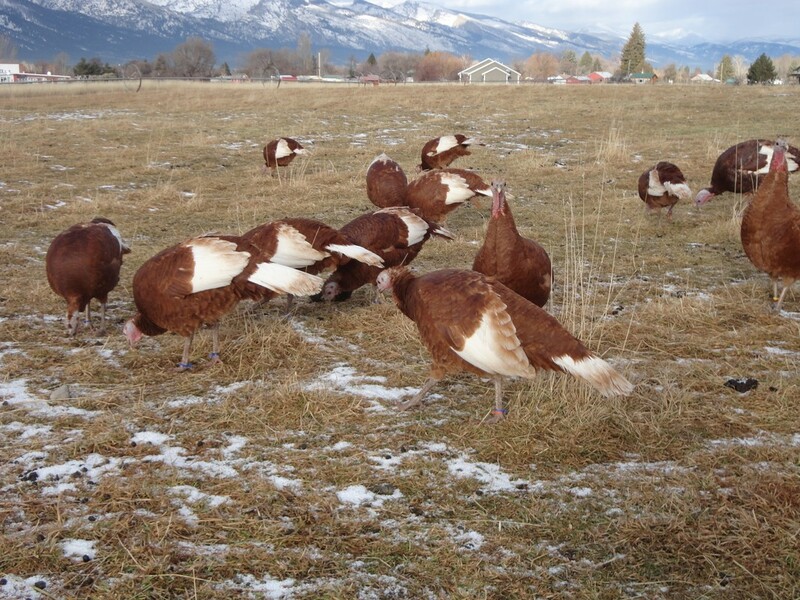 Hen turkeys readily hatch and raise their own poults, providing a sustainable homestead flock. Though many people see turkeys as only a meat bird, our Bourbon Reds are also excellent layers. 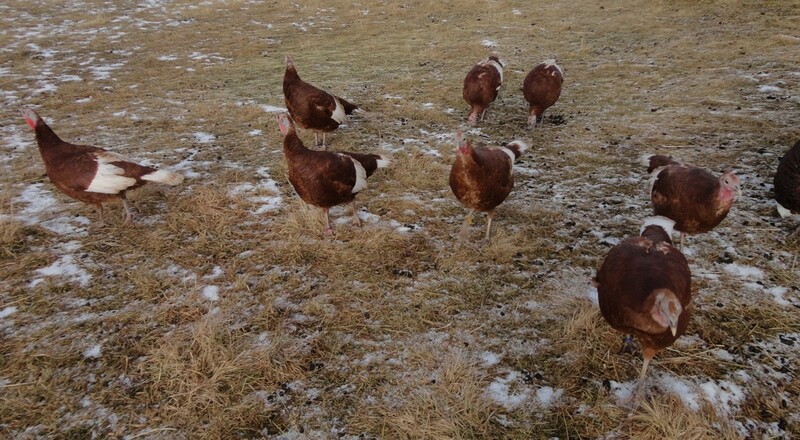 They begin laying at seven months, and lay consistently spring through fall for 3+ years. Turkey eggs are richly flavored. Scrambling is our favorite method of cooking them, as their texture is thicker than chicken eggs. 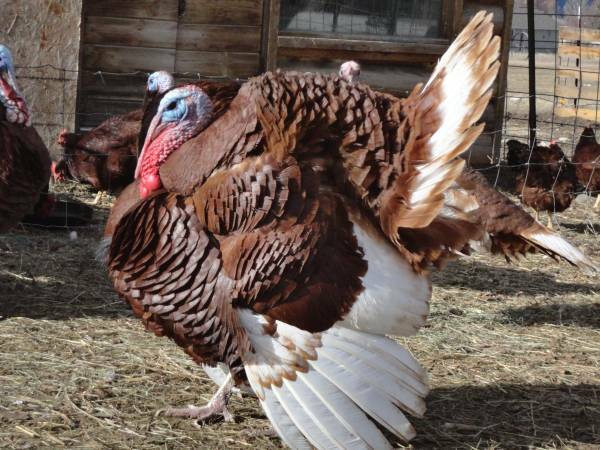 Turkeys are extremely friendly and personable when hand raised. Contrary to popular opinion, properly handled turkeys are not mean to humans. 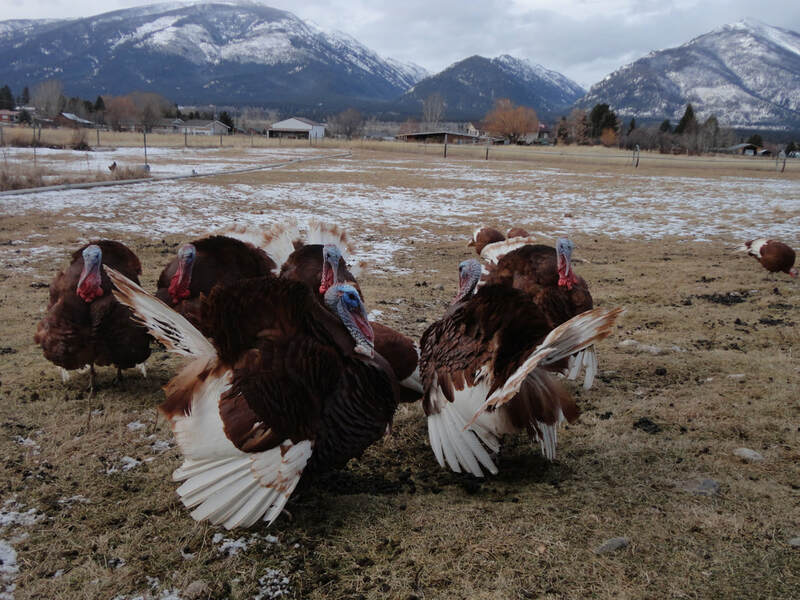 Turkeys from our line have achieved excellent success for our customers at numerous fairs and shows, with wins including Poultry Grand Champion and many Grand Champion Turkey ribbons. 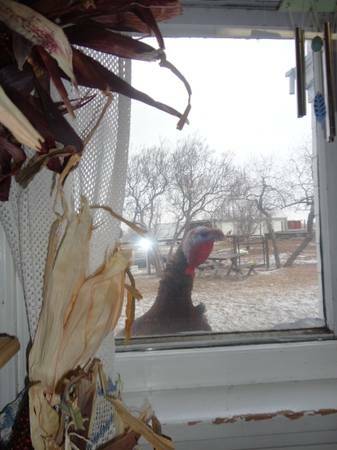 ~ Tom: Adult male turkey. Also known as gobblers. 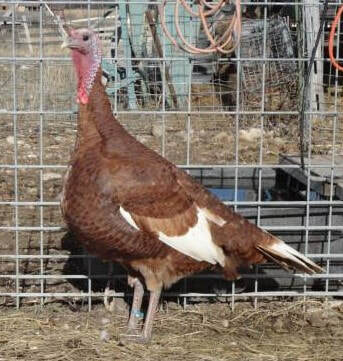 ~ Jake: Juvenile male turkey. 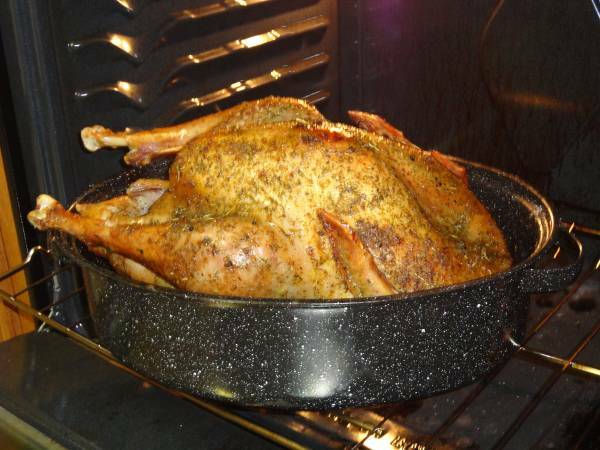 ~ Hen: Adult female turkey. ~ Jenny: Juvenile female turkey. 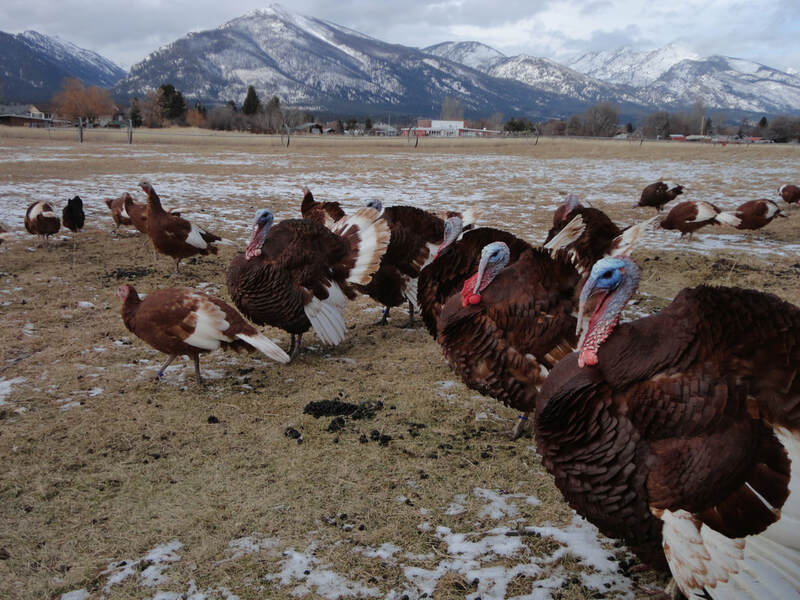 ~ Rafter: A group of turkeys, often incorrectly called a flock (we use "flock" for understandability). Every day is Thanksgiving at Canyon Creek Poultry.